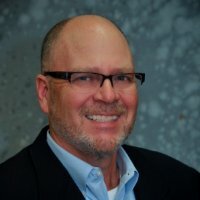 Richard Milam, the CEO of EnableSoft, an Orlando, Florida based software maker that aims to help small business owners improve productivity joins Enterprise Radio. Discuss Foxtrot Desktop and Professional edition launch—What does this mean for small businesses and the way they automate repetitive manual data tasks? What are common challenges businesses face in regards to data management. What are companies typically doing now and how can organizations increase worker productivity? Discuss some specific, unique examples of how companies are using Foxrot to increase their ROI. Why wouldn’t every company use Foxrot? What are some of the challenges you face when introducing Foxtrot to companies? What industries does FoxTrot serve? Since 1995, Orlando, Florida-based EnableSoft Inc. has helped organizations save time, save money, and improve productivity through automation technology. The EnableSoft team develops and markets Foxtrot, software that eliminates the burden of manual data processes by behaving, deciding, and working just like a person. With this “Digital Employee,” operations and other subject matter experts automate tasks that until today were only performed by hand or with the help of complex custom programs. Through Foxtrot, EnableSoft empowers individuals to conquer their own data-related challenges today, and become efficiency heroes in their organizations.